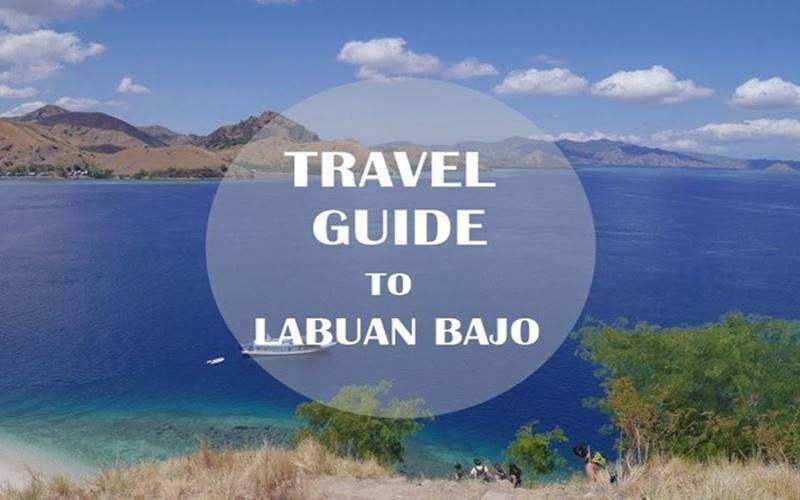 Flight to Labuan Bajo from Jakarta (usually transit in Denpasar) start from IDR 1.100.000 for one way, start from IDR 550.000 from Denpasar, Bali and IDR 600.000 if you travel from Kupang. There are some bus travel to Labuan Bajo from most of big city at Java with some stop at certain city like Denpasar, Mataram and Bima. Some of the operator is Langsung Indah, Tiara Mas and Dunia Mas. Most of these operator are executive class with seat 2-2 or 3-2, usually the price include foods, please confirm to bus operator when you do the booking. Here are some option you can choose from if you decided to take this adventures way. The total journey will not exactly same, as there is will be waiting time for each interval/transfer and the traffic condition. When I do my research, I encounter these bus online booking, easybook and bosbis, you can use them to check the price and schedule. I never buy ticket from any of them, so I don't know how reliable those website. PELNI Ship travel to Labuan Bajo every 2 week, check the schedule on PELNI website. The price from Benoa Harbour, Bali is about IDR 228.000, 22 hours while the travel time from Lembar, Lombok is 15 hours starting price IDR 187.000. Which one is the best one? If your time is limited, of course by plane. But if the time is yours and you want the cheapest one, take PELNI ship. But if PELNI ship schedule is not available, “the point to point travel” is the best option. How if your homebased is not in Lombok but doesn’t want to travel all the way by bus ? There is 2 option, they are : (1) fly to Lombok and then take option B or A.3 (2) take land trip to Bali/Lombok then continue with option B or A.3. It is all about your choice. There is bemo as public transportation but it is rare, especially at the tourist location so if you travel alone, you better rent a motorbike or just use a ojek (motor taxi). (1) Use the official airport taxi inside of arrival gate, it will be on your right. The rate is fix, depends of destination. (2) Rent car, ask your hotel if don’t want to hassle or just bargain at outside of the airport’s arrival gate, there are a lot of car rental available. Use the official airport tax rate as a standard rate, you might get a cheaper rate. It is actually a cave in a dark stone hills of Labuan Bajo, located about 4km from central of Labuan Bajo. Through the hole in the cave, sunshine comes in and then bounces on the stone that reflect the sunlights to other areas inside the cave like a mirror, thats why it is called mirror rock. The best time to visit between 09.00am -11.00am, depends of the sun lights. Unfortunately we are not able to see this as we come on late afternoon. The entry fee is IDR 10.000/pax, additional IDR 10.000/pax for guide assistance, I don’t think it is necessary. Cunca Wulang located at the foothills of Mt. Mbeliling, about 30km from the center of Labuan Bajo. It offer a refreshing environment of clear pools and cascades and a series of smaller waterfall along the ways. It is surrounding by walls of stone formations, looks beautiful. You may want to jump off the 5m cliff to the waters holes but be sure to check the depth of the water holes before. How to get there: Rent a motorbike/car, it is the same road to Ruteng, just on the left of the road there will be signboard of Cunca Wulang Waterfall (Cekonobo) turn left then continue toward Wersawe Village, then continue by walking. It is named a Goa Rangko because it is located on village of Rangko, about 1 hours drive from Labuan Bajo. The water of goa rangko is very clear, containing high levels of salt with depth of 3-4 meters. Try your adrenaline, jump from height of 10m cliff to the water. How to get there : (1) Rent a wooden boat from Labuan Bajo, the journey will be about 1.5 hours or if you take speed boat it will be 30 minutes journey (2) Drive to Rangko Village, then take a local boat to Rangko cave (around 10 minutes). It is called a sunset hill because it is famous for its sunset view, it is not far from the center of Labuan Bajo. Don’t confuse with the name “hill”, you don’t need to climb a hill because it is just by the main road. While in Labuan Bajo, don’t miss to have seafood dinner at Kampung Ujung, near the harbor. It is very cheap, fresh fish start from IDR 30.000/pcs include with rice and vegetables, you can share with your friends too.